A couple of years ago my dog Diesel and I, as well as my friend Åsa were in England. 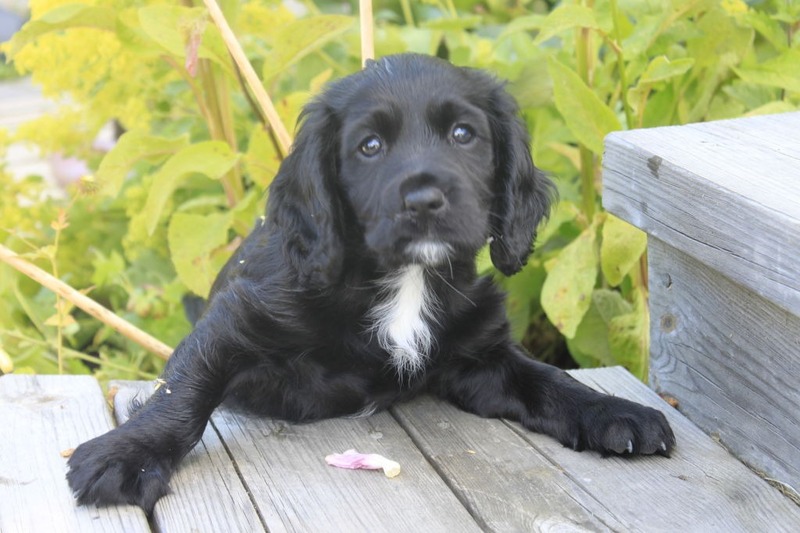 We went by car to take part in a dog training course for Philippa Williams, Dogs for Life – I have been to one of her courses once before, it was a year earlier, but at that time it was in Wales and of course since then both Åsa and I have been back to England to buy puppies from Philippa. This time we were a little bit north of Inverness, so it was a real road trip. Philippa also has a show at Crufts every year, and here you can see her in a gundog display. Well, this course lasted a week and included accommodation at the fantastic Novar Estate, as well as breakfast, lunch and also a dinner with two courses every day. 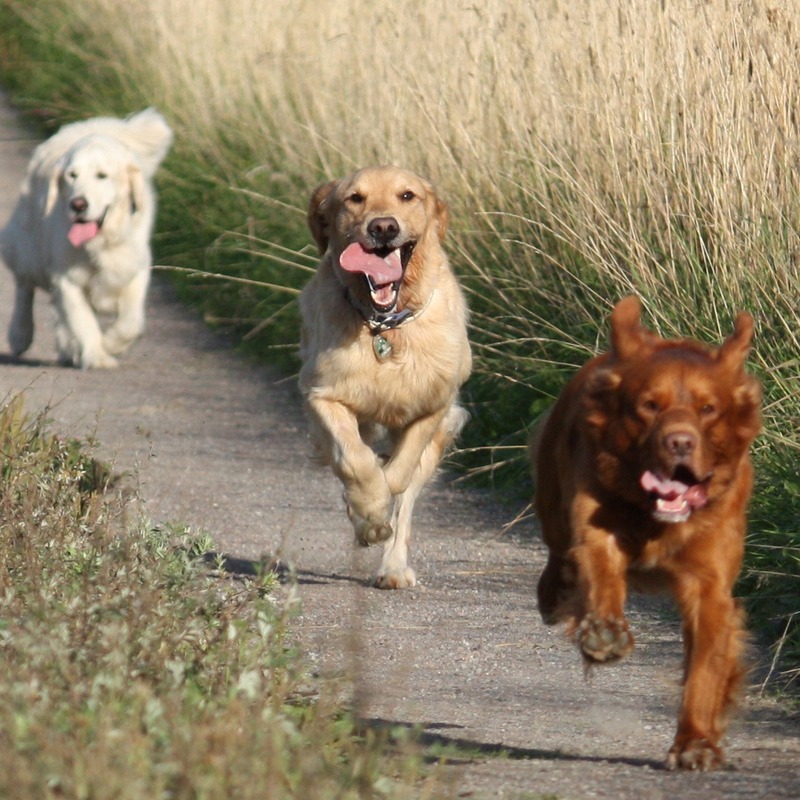 It was great to talk about dogs with the other participants for a whole week – we were like a big family. 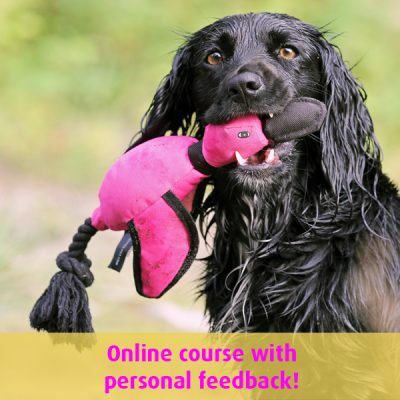 If you have the opportunity, I would really like to recommend you to go on a “dog holiday” – a training holiday with your dog. 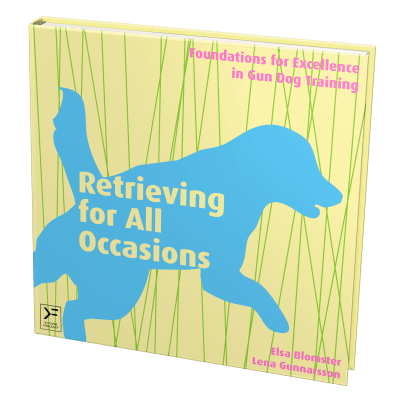 We had time to train on a lot of different things during the week, and today I want to write a little about jump training and marked retrieves. 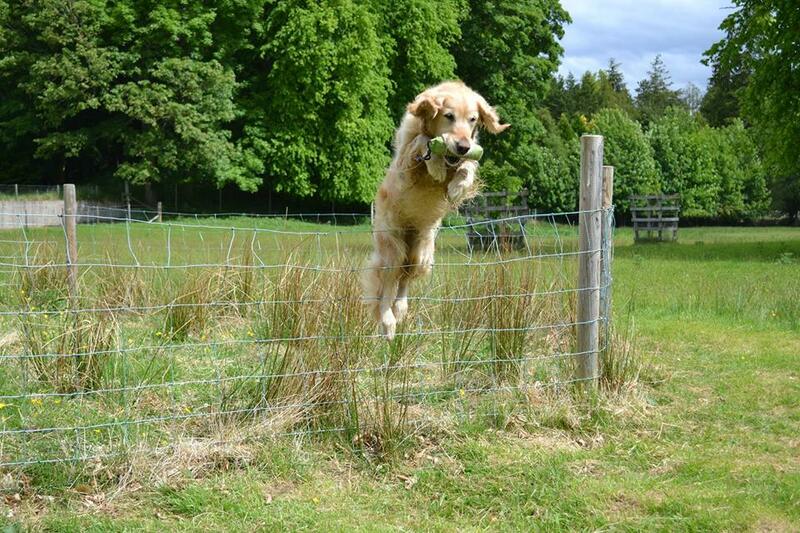 When you take part in a competition the dog sometimes has to jump over a fence. It might also be stonewalls, streams, or any other obstacles, so when you teach the dog to jump you have to introduce the dog to various barriers. Philippa gave us a tip. She said that it is a good idea to tell the dog already when you send her to take a blind retrieve that there will be something that she has to jump over. 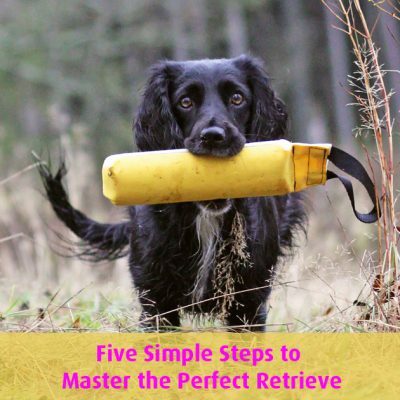 If Philippa for instance sends her dog on a marked retrieve and the dog has to jump over a fence, or any other obstacles for that matter, before she can take the retrieve she uses a different cue than the one she would use if there were no barrier for the dog to jump over. 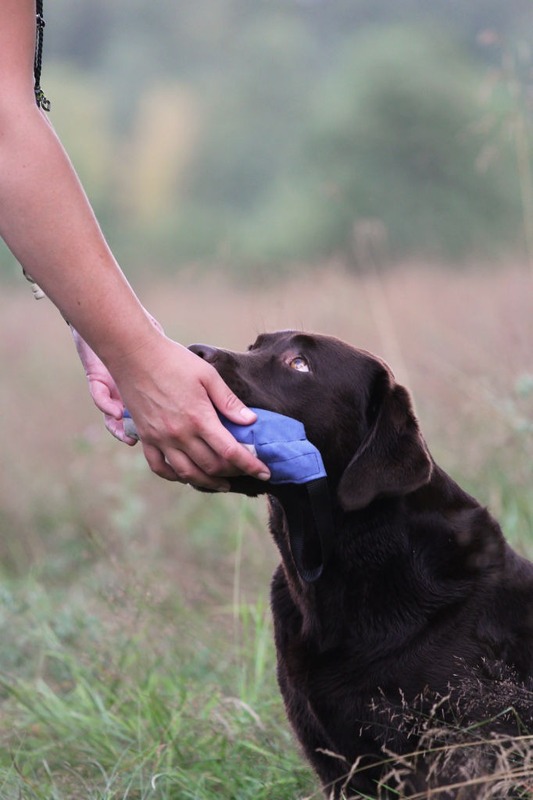 This also minimizes the risk for injuries as the dog can prepare herself. I have only used the cue “out” regardless if there is a fence that my dog should jump over or not. When I give my cue I want my dog to jump over everything in her path and come back to me with the retrieve. I decided to try the cue “over”, when there was a fence, which Diesel never jumped before. This weekend, I got proof that the cue “over” worked and it really meant that my dog did look for something to jump over, so I decided that I would continue to use this new cue. When I want her to jump over any obstacle on her way to the blind retrieve I now say, “over – out”, instead of just “out”. I decided that I in the future, will use the word “over” when there is a fence for her to jump, or any other more difficult obstacle, but I will only say the cue “out” when there are lower barriers – such obstacles that I am sure that my dog just will run over anyway. In England, I had to train Diesel a long time before I got her to jump over a metal sheep fence, because she thought it was very scary. At first, we put a jacket over it, then I threw a ball into the corral (which was there only so that the dogs could practice jumping over a fence, it was a fenced square, three times three yards) and then I tried to lure her over the fence, but it was easier for her when I threw the ball, carried her over the fence, and then I recalled her so that she ran out of the corral a couple of times. After that she was willing to jump both in and out, and then after a while we removed the jacket. Gradually we moved around the corral on the outside, so that she had to jump from all sides. In the beginning, I stood very close to her, but after a while I could move further away and even ask her to sit with her side or back turned towards the fence, so that I could cast her to the right, left, or further back into the corral. Along one side of a large paddock there was a hurdle track with wooden gates and fences so that the dogs could train to jump over them. The first one was only fifty centimeters high, and then the fences got gradually higher, and the last one was probably as high as one yard. Diesel thought that the highest fence was a bit tricky, but in the end she managed two jump over it. We asked her to run between us a couple of times, at first we used the low barrier, and after that we asked her to jump over the little higher fences, and at last she jumped over the highest. Then she fetched a dummy from the other side of all the fences. Last weekend I found a new corral in another place, where we went to train. This time it was a wooden fence, so I tried to send her with the cue “over – out” and she jumped over the fence at once, without any hesitation, when there was a blind retrieve first ten yards away, and then thirty to forty yards away, both to the right and left.